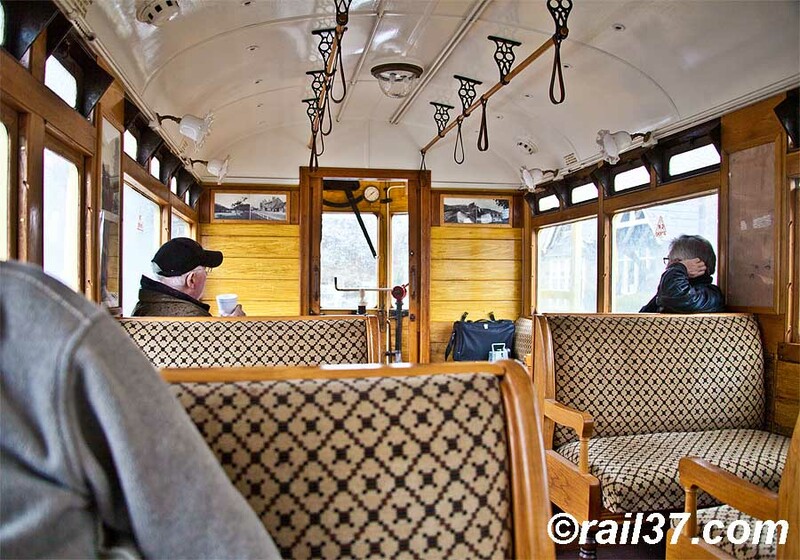 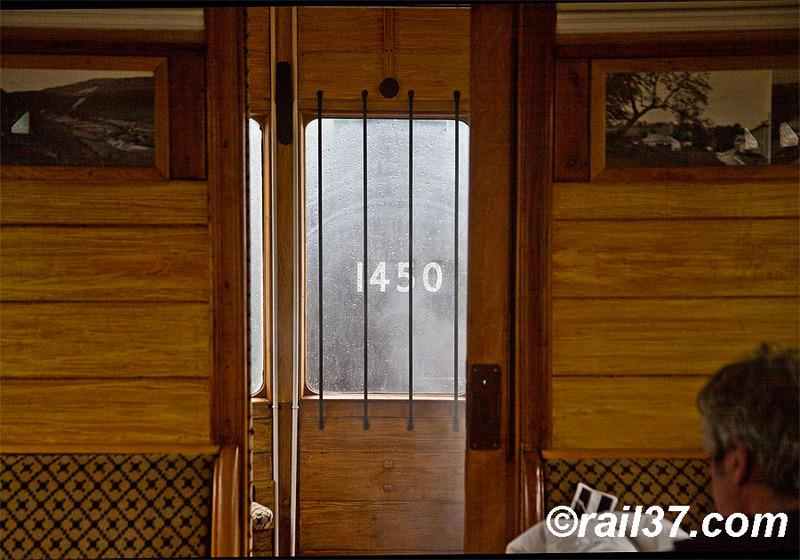 Interior of the Autotrain en route from Corwen to Llangollen. 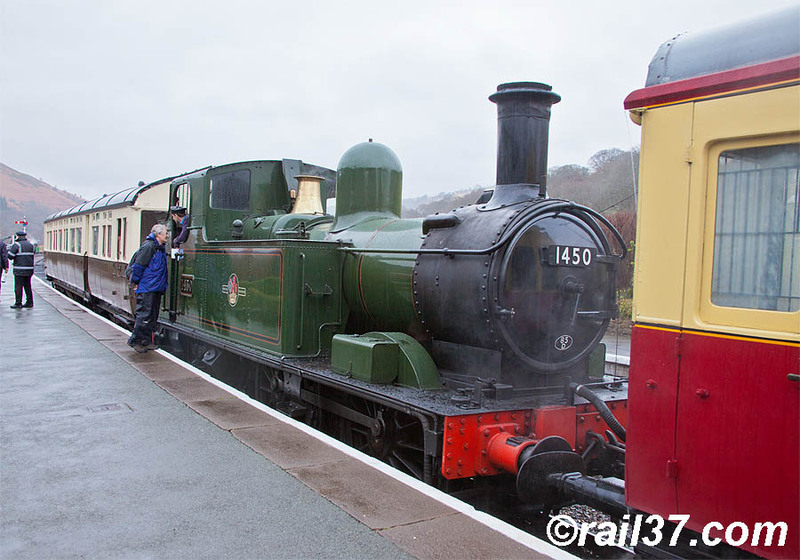 Autotrain power source at Carrog. 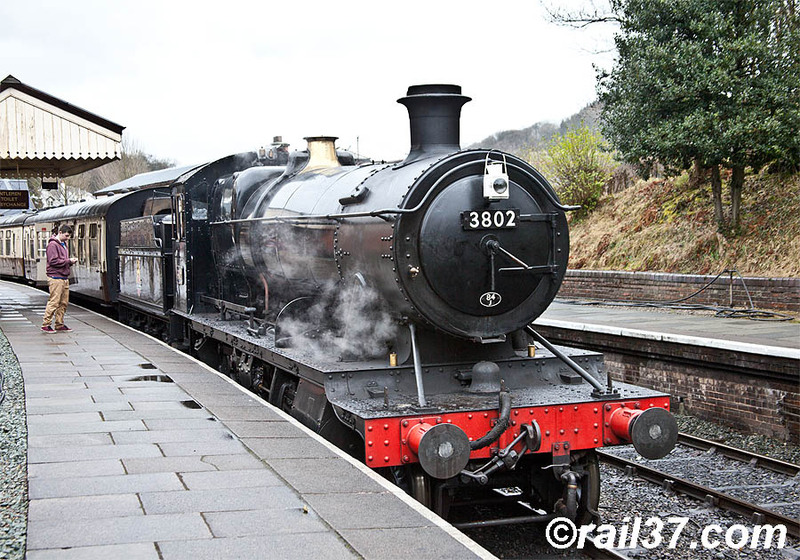 Ex GWR 2-8-0 number 3802 piloting 92214, approaching Carrog from Llangollen. 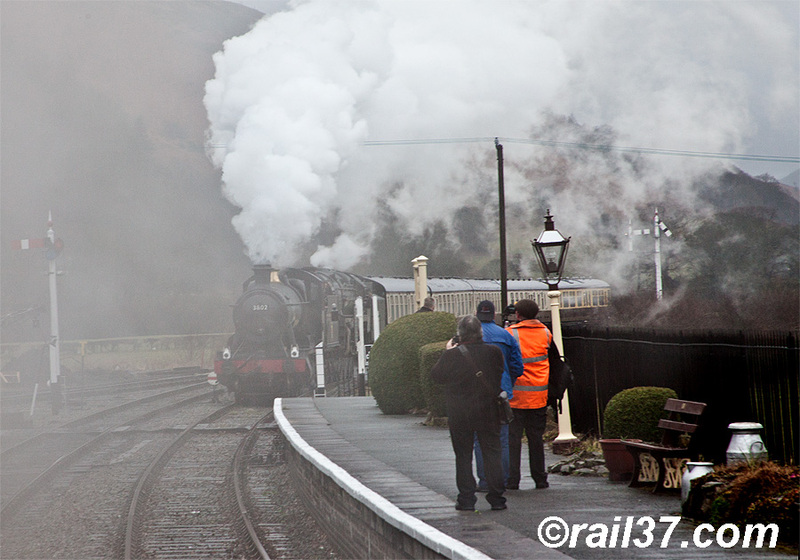 Steam leaks on a cold, wet day in Wales. 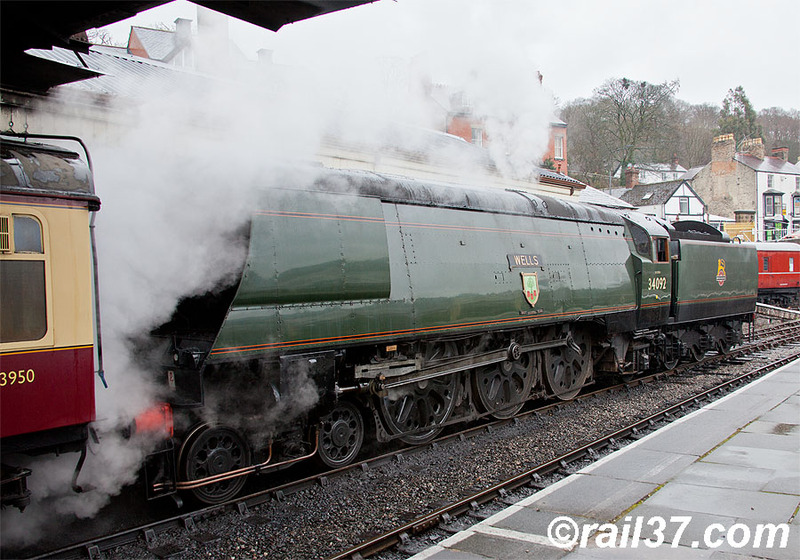 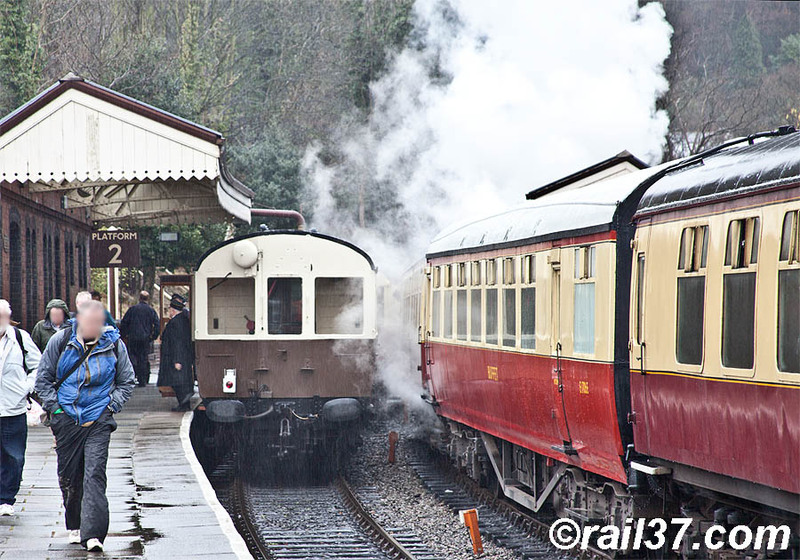 Llangollen station and West Country pacific 34092 "WELLS" attached to the rear of the next train out to Corwen. 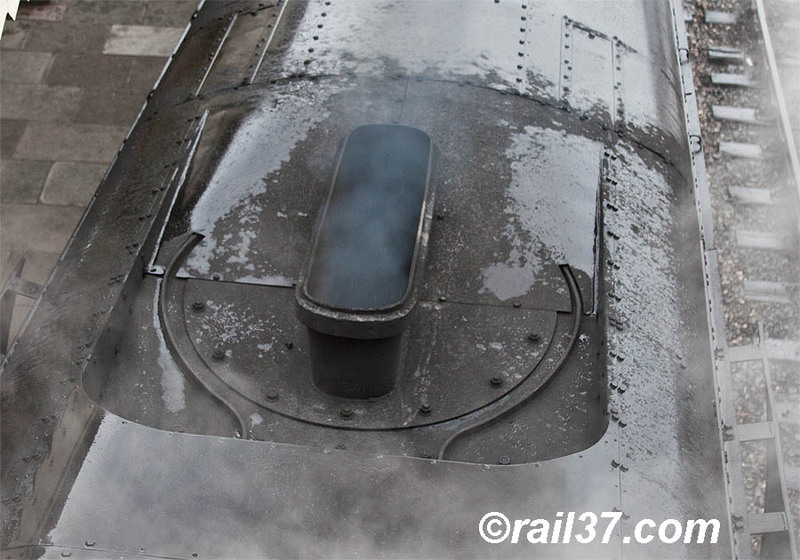 The pacific is fitted with a Giesel ejector which gives the engine the "volcano" reputation. 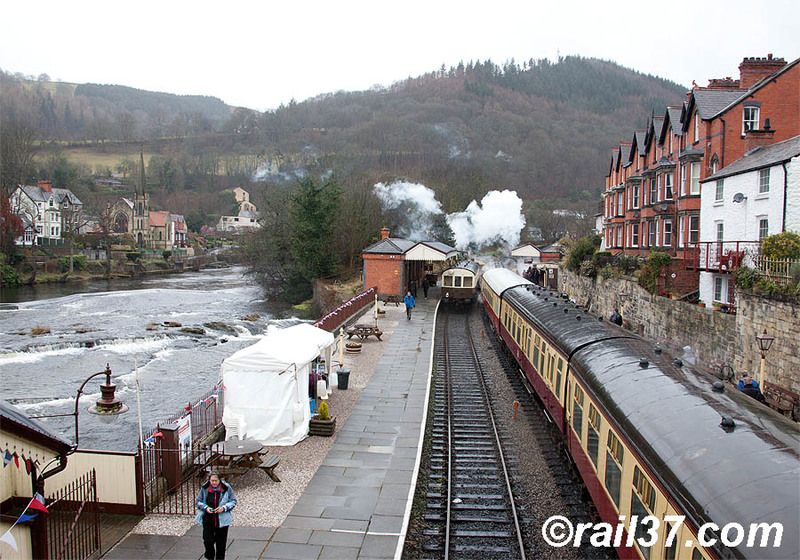 Llangollen station with the River Dee alongside. 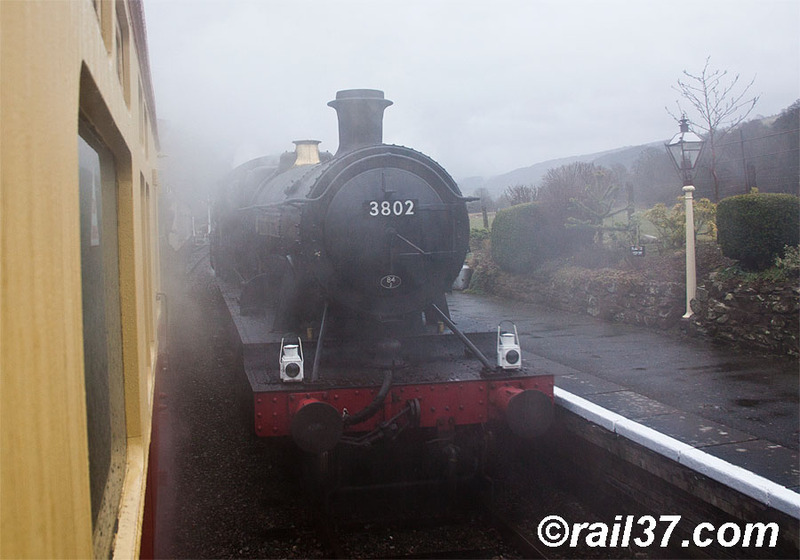 Later in the day and 3802 waits to depart for Carrog only!